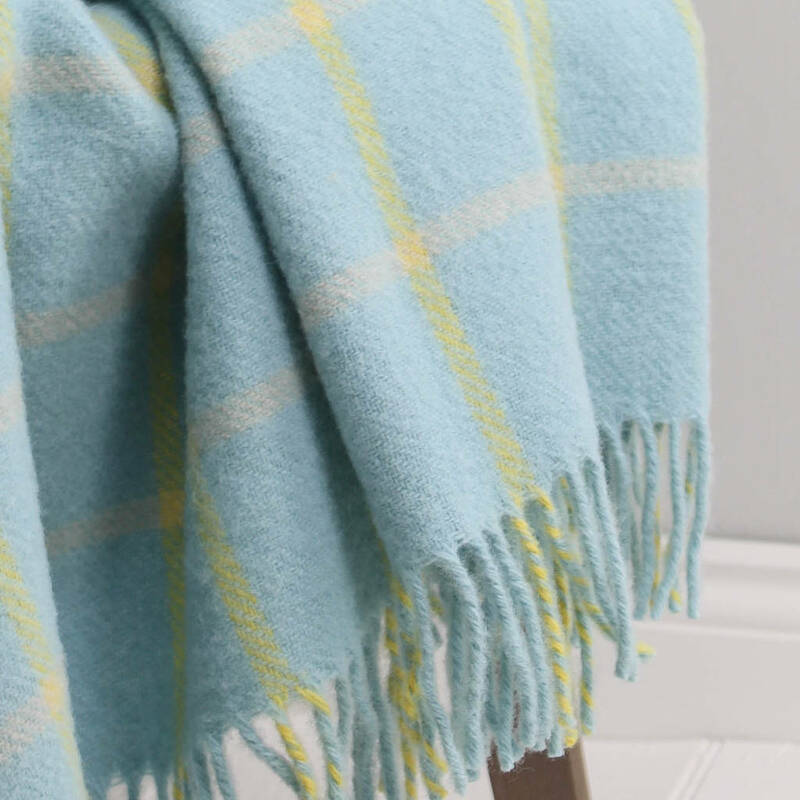 In a soft pale blue, this wool throw has a yellow and grey spring check design a great colour combination for Spring Summer. 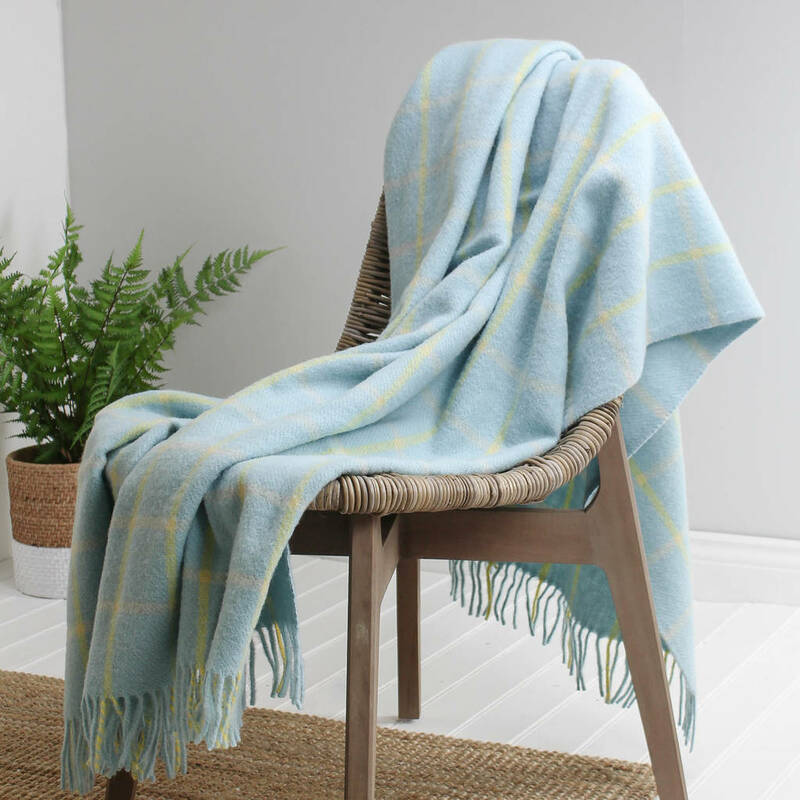 These throws are ideal for your living space and also work well in the bedroom over an occasional chair or at the end of a bed. 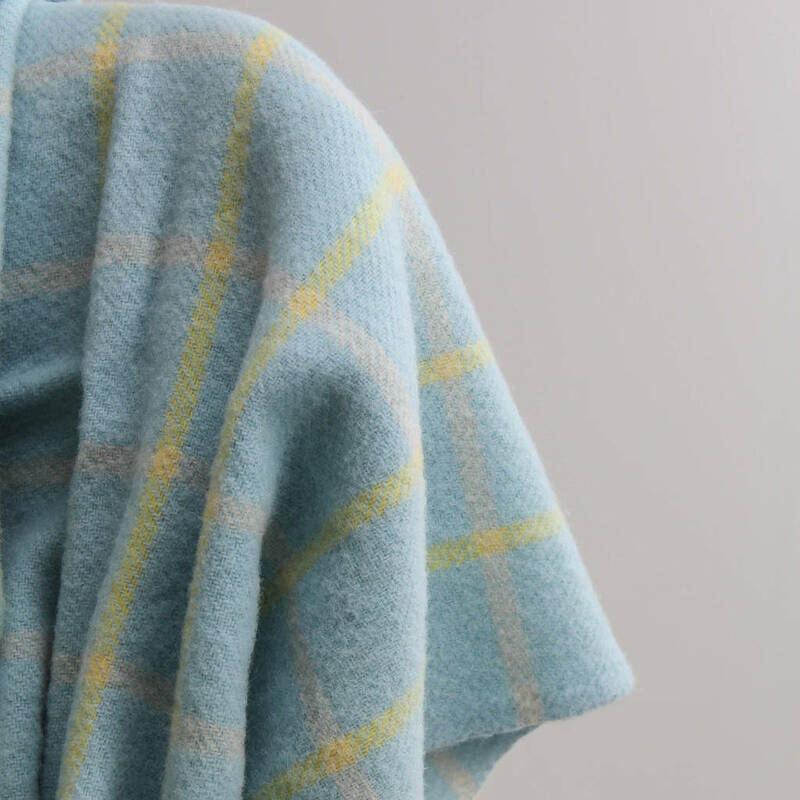 Made in the UK using 100% pure new wool, they can be machine washed on a cold setting.